Request a quote for Plastic Three Spoke Handwheel today. 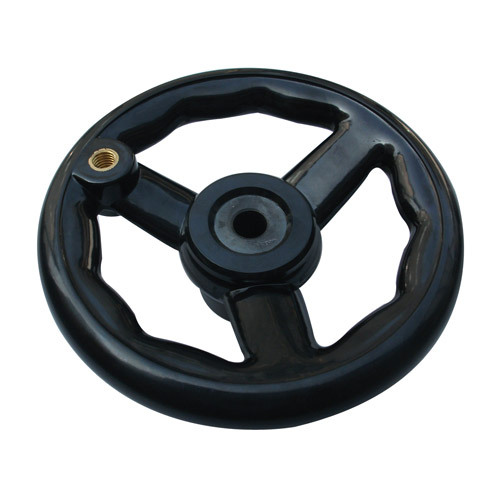 This plastic three spoke handwheel from JBF National is manufactured from the highest quality bakelite material and has been designed and tested for ultimate reliability and durability. The inside handwheel rim is specially designed for optimum handgrip and ultimate comfort. Handwheel features an M10 threading for optional revolving handle attachment. Please see component diagram below.